Hey there! I'm new to Blue Pride and looking for some friends in the LE community in the Detroit area! I'd like to become more involved and be with more people like me. Hope to hear from ya! Welcome to the site! We have members from all over the country as well as internationally. Even Canada! Some of the other members will be stopping by to say hello pretty soon as well! Hi Michigan. Welcome to Bluepride. We're glad to have you with us. Are you a member of the Michigan LGBT law enforcement group? They have members all around the state. They are based in Lansing but they have Detroit members. 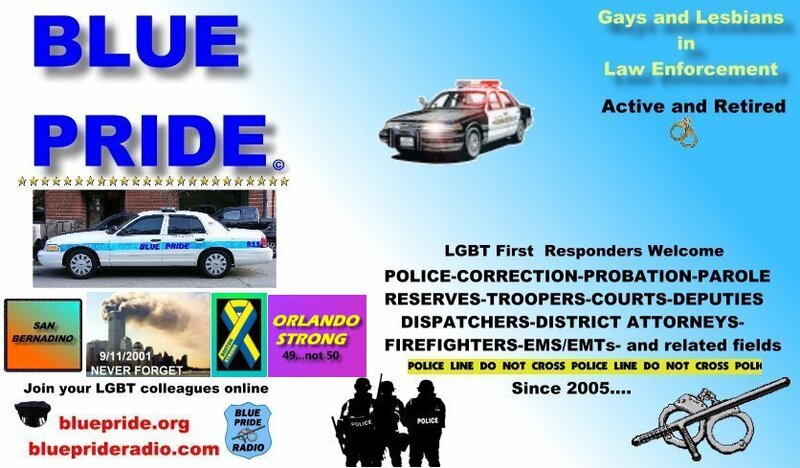 Contact Michigan Law Enforcement Gays and Lesbians ( MYGOAL) They have a website. Their former president is a friend of mine and he is also a member of bluepride. I'll have them contact you here. Hey Jpapcun27! WELCOME to BluePride! There are a few of us OLD FOSSILS, uh, "senior gifted" members and a LOT of awesome younger members of BluePride and various LEO organizations across the country, including Michigan. Please do share whatever you are comfortable telling us about yourself and follow along with the banter, playful jokiing and also SERIOUS messages that are posted. Do follow along, especially as news of the upcoming LEGAL Annual Conference (in September) is posted. It is in Las Vegas this year and is a chance to meet hundreds of LGBT LEOs from all over... even Europe/Australia... ALL over! Let us "hear" from you soon! Thanks! Glad to be a part of it all! Welcome to the group, jpap! I'm about 5 hrs away from you in central Indiana. Glad to see more Midwest flavor around here. I hope you find this board a great resource.